KATHMANDU, May 26: As the government marked its first 100 days on Friday, Prime Minister KP Oli has earned praise for moving against the transport syndicates and gold smuggling rackets, among other things. But the country’s most powerful prime minister in recent years is now only sitting on the tall promises that he made during the elections. While the people wait to see his poll promises being fulfilled, there are already concerns whether his government will uphold democratic norms and values, especially given the preparations it is making to grant an amnesty to murder-convict Balkrishna Dhungel. The Oli government has achieved a milestone in restoring the soured relations with India with the visits here of Indian Prime Minister Narendra Modi and External Affairs Minister Sushma Swaraj. Agreements on Nepal-India waterways and a Raxual-Kathmandu railway can also be seen as a success. The government received huge public support in its efforts to bust the syndicates in public transportation despite pressure and protests from the transport entrepreneurs. Clamping down on construction contractors failing to meet given deadlines also spread hope among the people. Ordinary folks have likewise lauded the government decision to cut some public holidays. The government’s decision to end load-shedding across the country, reopen airports in Surkhet and Rajbiraj and open Tribhuvan International Airport 21 hours day has left a positive impact. Shortly after assuming office, Oli decided to consolidate power in the Prime Minister’s Office, bringing the National Intelligence Department, the Anti-Money Laundering Department and other key government agencies directly under it. This has received a mix reaction in political circles. 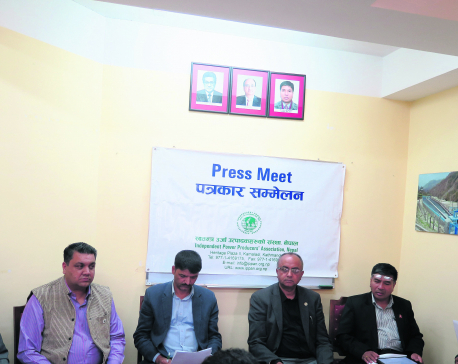 “We don’t want to describe the 100 days as frustrating but the government with its absolute majority has failed to take pace as promised during the poll,” said main opposition Nepali Congress (NC) Spokesperson Bishwa Prakash Sharma. The opposition has also claimed that the nationalistic stance of the prime minister was exposed during Modi’s Nepal visit earlier this month as Oli took a soft stance on various agenda items of key concern to the country. “The government only mentioned the negative side of the national economy while unveiling its white paper after assuming office, which was a wrong practice,” said the NC spokesperson. The NC has also lambasted the government for failing to appoint a chief justice. “Chief ministers and ministers in the provinces have been complaining to the central government for not providing adequate budgets and resources to the provinces and local levels, which is frustrating at the time of the onset of federalism,” said Sharma. Despite some positive efforts, a few decisions of the government have met with public criticism. The transfer of Department of Transportation Management Director General Rup Narayan Bhattarai has left room for the public and opposition parties to question the commitment of the government to good governance. 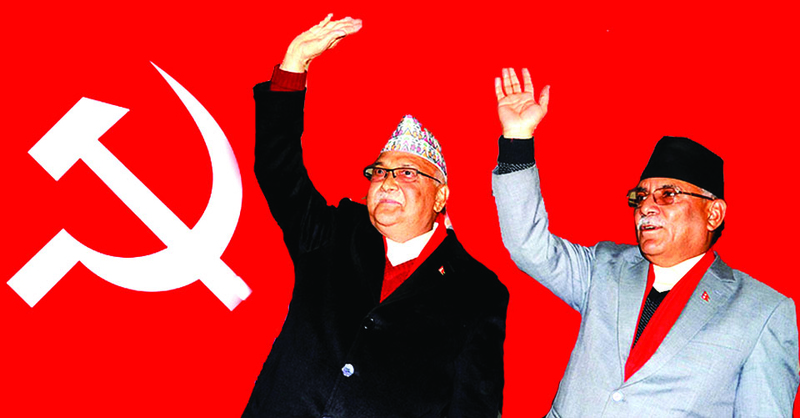 Prime Minister Oli’s relations with ministers from ruling coalition partner Maoist Center soured after he decided to transfer 28 government secretaries while keeping the Maoists in the dark. The Oli government has hiked the prices of petroleum products four times in the first 100 days. Petrol has now reached Rs 110 per liter from 104 and diesel and kerosene reached Rs 92 from 83 per liter. The government has failed to take the provincial governments into confidence although NCP-led governments are in place in six of the seven provinces. Disputes with the government of Province 2 have further increased after the center barred its chief minister from visiting the US. Local governments have been complaining to the federal government about lack of adequate staff for their day-to-day work. Despite having an absolute majority, the government has failed to appoint a vice chairman of the National Planning Commission ahead of the fiscal year budget.